Genevieve Kemarr Loy is a young and exciting artist from the Utopia region. She is the granddaughter of the late Nancy Petyarr and has learnt painting from her father, Cowboy Loy Pwerl. 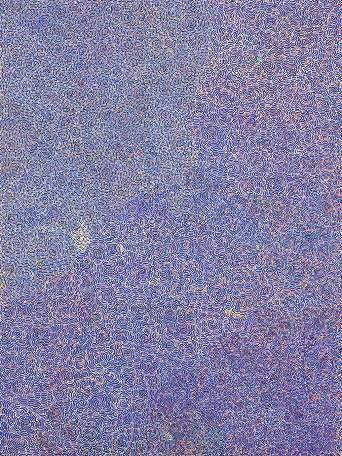 Like Cowboy, she paints the Bush Turkey Dreaming, but from a different perspective. 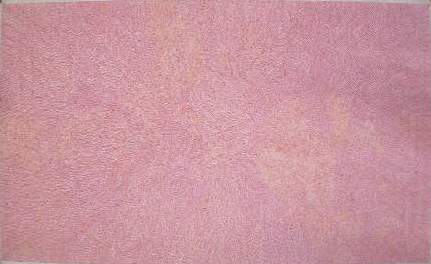 On a superficial level her paintings depict the tracks the Bush Turkey makes as it searches for seeds and other 'tucker' and makes its way to the waterhole. Genevieve's paintings are characterised by a beautiful and careful handling of paint; a harmonious sense of colour; and great control of the delicate spidery marks that make their way across her canvas. She is revealing a mature capacity to paint her Country in an evolving manner that is both surprising and encouraging in an artist so young. Lauraine Diggins Fine Art anticipates that this artist, who approaches her work in a most professional manner, will receive both national and international respect.